This is one of my most special treasures. It was very dificult to find this beautiful postcard, but finally I got it! 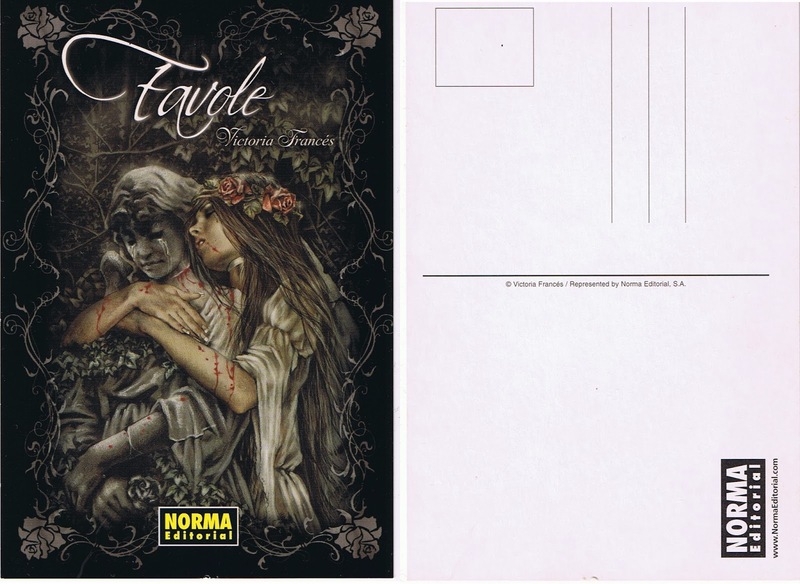 This was a gift from Norma Editorial at the 22 Salón Internacional del Cómic de Barcelona in 2004, when the first book Favole saga was on sale. Really special for me!